Slim and sophisticated. 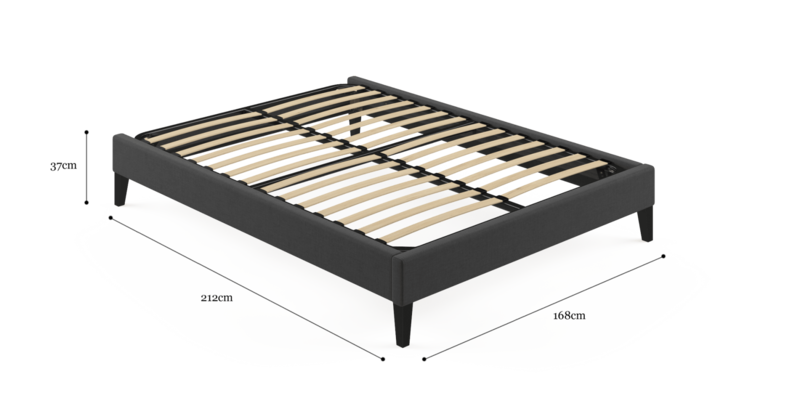 The Queen Size Slimline Bed Frame Base has a refined profile that won’t overcrowd a room. 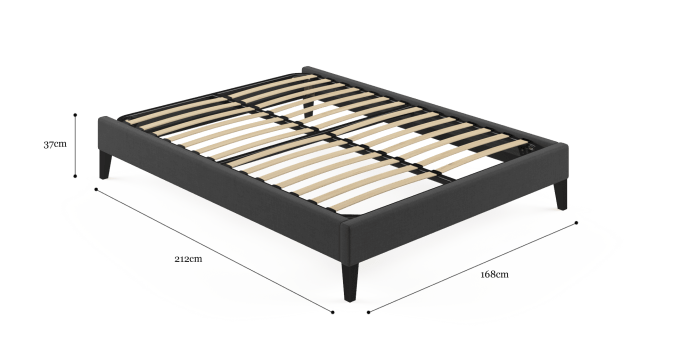 See our complete range of bed bases to find your best fit. 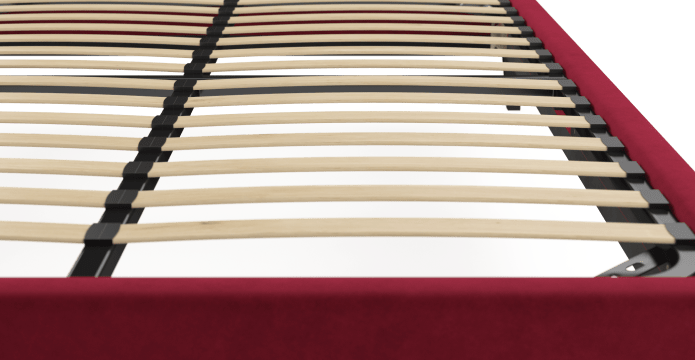 Like all of our beds, the Queen Slim was crafted by our expert makers. Who have years experience building high quality beds. It’s quality you won’t lose sleep over. Finish the look with your choice of bed head. See our extensive range, which includes designs that are winged, wide, tall or tufted. In your pick of colour and fabric. 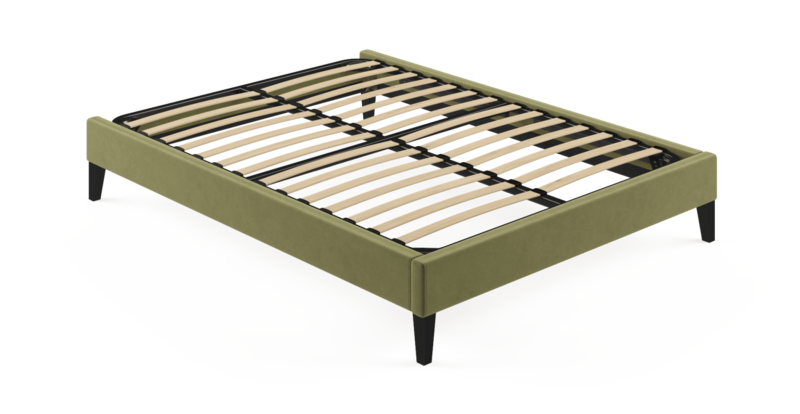 The simple, classic design of the Queen Size makes it easy to work into a bedroom. Match it with a range of furniture styles from classic to contemporary. 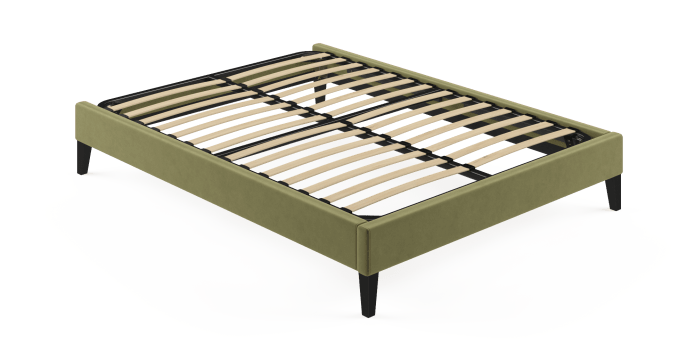 How far down the frame does the mattress sit? 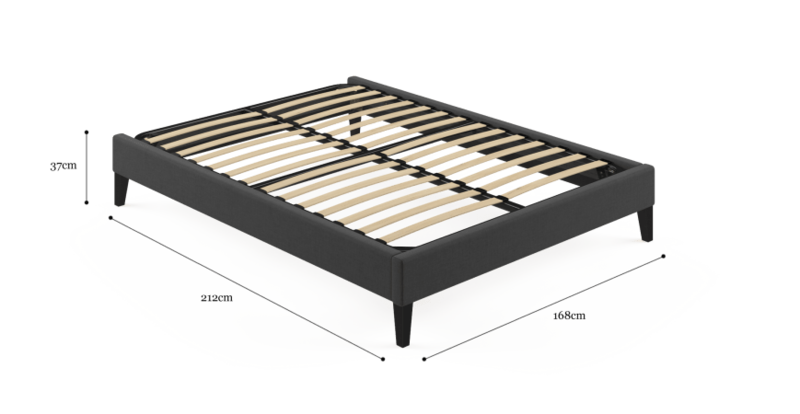 The mattress sits 5cm down the sides of the Slimline Bed Frame. I liked how informative they were about their delivery, it made things easy for me to organise myself or someone else to be at home to recieve the delivery. I also liked the packaging that my products came in. 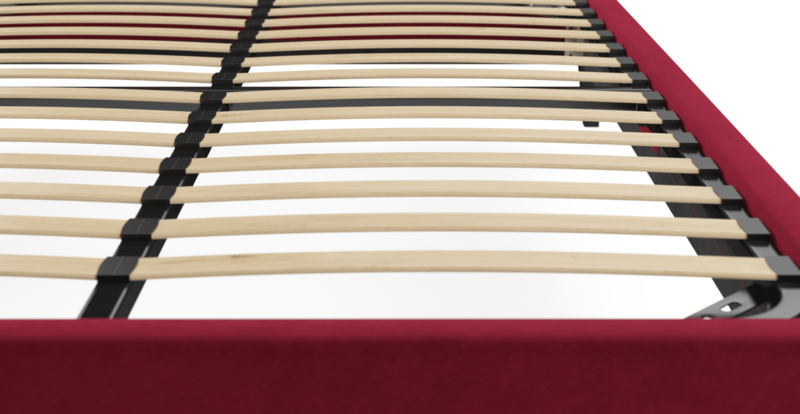 I'm very happy with the bed head and base I ordered and would definitely recommend Brosa. Love Brosa. Have already recommended! 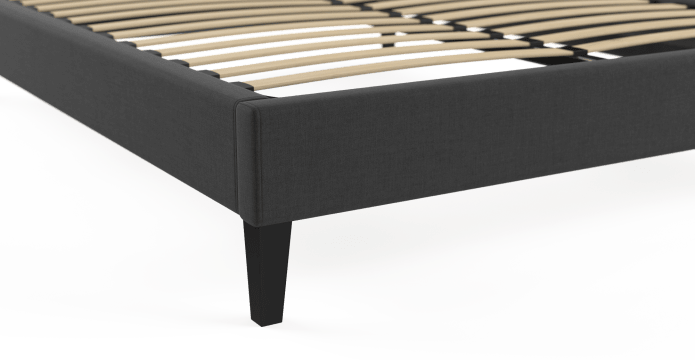 See, touch and feel our fabrics used on our Queen Size Upholstered Slimline Bed Base. For Free! Simply select up to 3 fabrics and add them to your cart. Delivery is on us. Good news! Queen Size Upholstered Slimline Bed Base is currently on display in our Alexandria Collingwood studio.